10 - 48V input voltage! A new version of the signal conditioner A2C-SG-M12 is now available! Strain gauge amplifier with CAN bus - NEW! More rugged than ever! The new 2 channel strain gauge amplifier (signal conditioner) with CAN bus interface. Convert mV inputs to CAN bus and analyze up to 2 channels. Channels can be connected together so the difference / addition / multiplication or ratio of different channels can be analyzed. 6 alarms setting and a logic (automotive compliant) output enables stand alone operation. 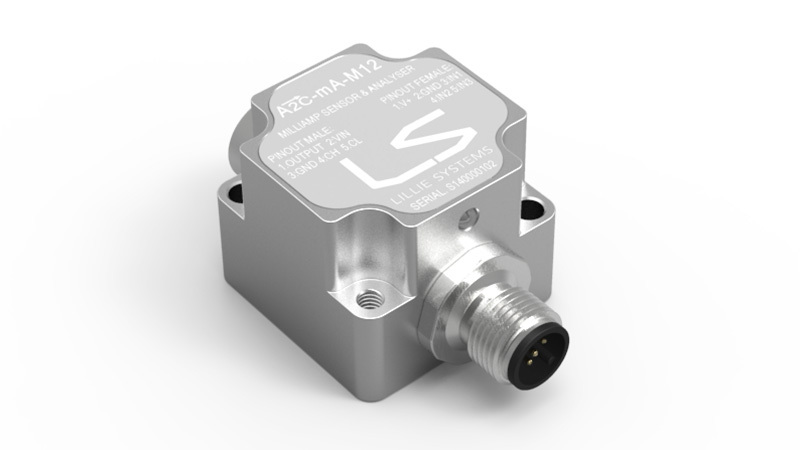 This new Angle sensor can work as a standalone sensor with logic alarm output or connected to your host controller. Available with M12 connector or in a smaller housing with cable. 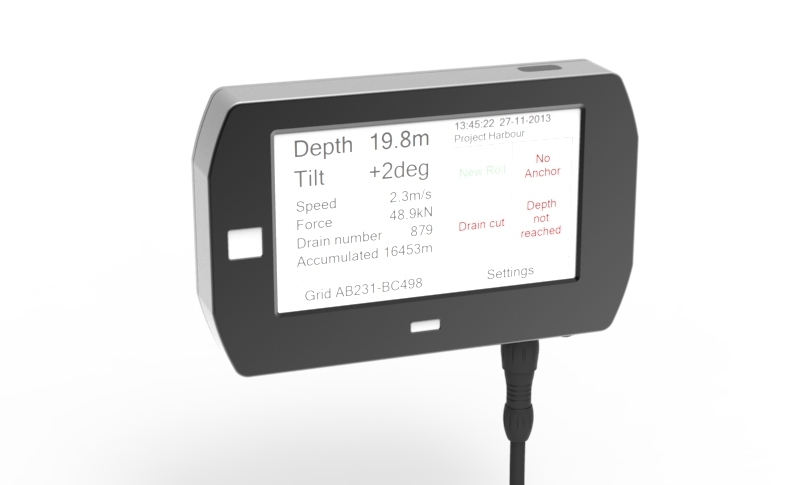 Venn Design Solutions and Lillie Systems collaborate to develop cost-effective tower-sway sensor for Orenda Energy’s 50kW Skye Wind Turbine fleet. 4-20mA Analyzer with 3 channels. Convert mA inputs to CAN bus and analyze up to 3 channels. Channels can be connected together so the difference / addition / multiplication or ratio of different channels can be analyzed. 6 alarms setting and a logic (automotive compliant) output enables stand alone operation. 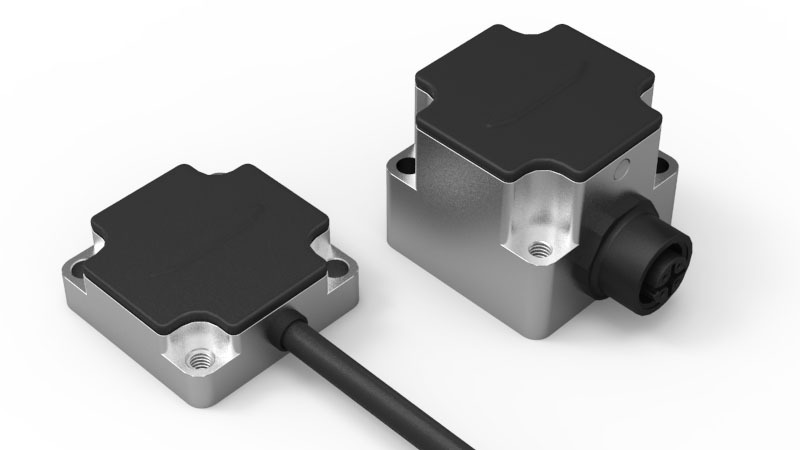 This sensitive dual hall sensor is perfect for sensing rotating shafts, winches, drums etc. 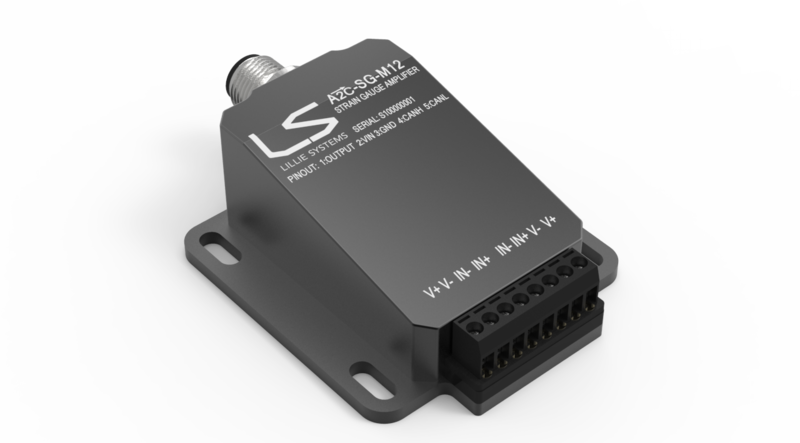 This new inclinometer can work as a standalone sensor with logic alarm output or connected to your host controller. Available with M12 connector or in a smaller housing with cable. This same sensor can be used as an acceleromter. 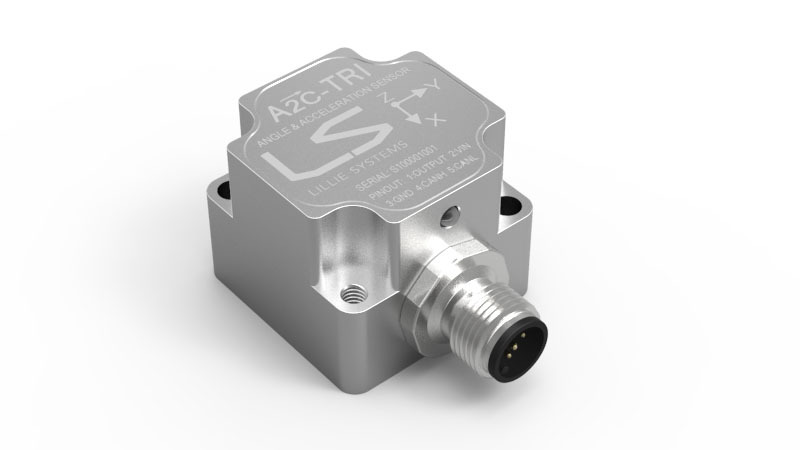 The A2C Brand are a category of sensors which use CAN Bus to communicate with a host. Additionally they have a logic output which can be programmed to trigger when a certain condition is met. This enables the sensor to operate without a host and act as an advanced limit switch / supervision sensor. 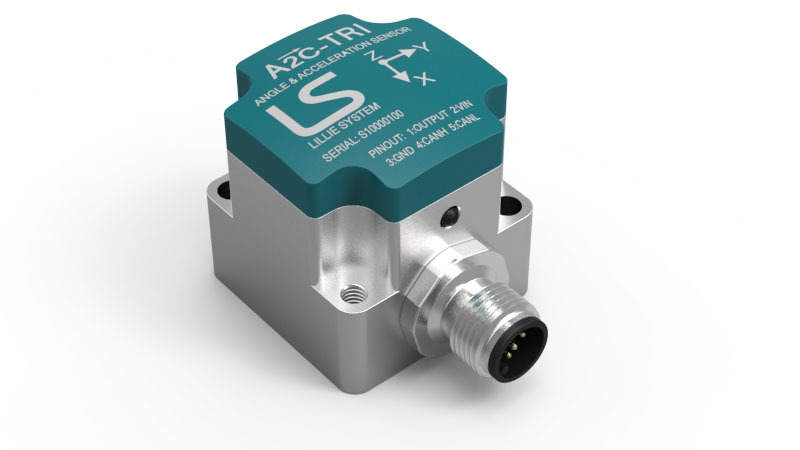 A2C Sensors with integrated high performance GNSS sensor. This is the most modern solution able to track both American GPS, Russian GLONAS, European GALILEO, Chinese Beidu and Japanese Satellites. Available with integrated acceleration / tilt sensor. 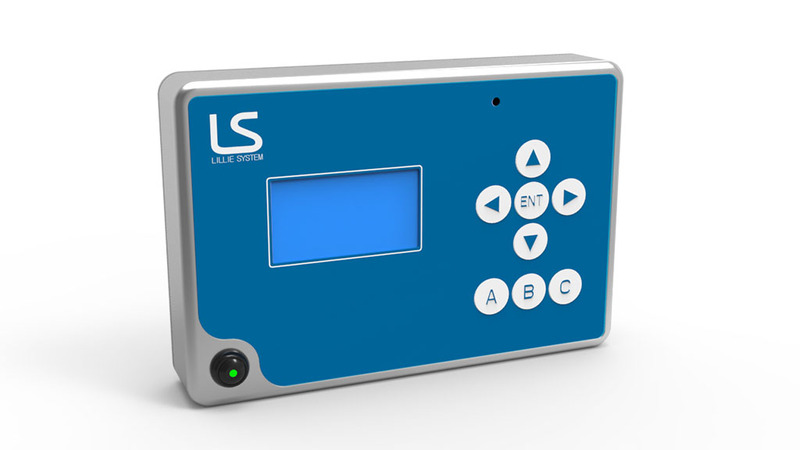 DLMU-16B is the 2nd generation data logging solution for vertical drains. This systems is expandable to include machine control and GPS systems. Outputs Tilt angles (roll pitch) and acceleration in a variety of formats. Adjustable bandwidth, periodic messages, alarms etc. Output Tilt angles (roll pitch) and acceleration in a variety of formats. Adjustable bandwidth, periodic messages, alarms etc. Uses the newest GPS sensor to track satellites from GPS, GLONAS, GALILEO, BEIDU satellites. Output for precise GPS time - one pulse per second. The A2C-MA measures milliampere signals (4-20mA). 3 signals can be measured at the same time. Math function allows for measuring the difference between two sensors. This can be useful when measuring differential pressures using two pressure sensors. The A2C-V measures Voltage signals (0-10V). 3 signals can be measured at the same time. Math function allows for measuring the difference between two sensors. This can be useful when measuring differential pressures using two pressure sensors. Min / Max, and RMS values can be outputted. © 2013 Copyright Lillie Systems. All rights reserved.